Being selected to present my research at the House of Commons in London as part of SET for Britain 2016 was both an exceptional honour and a unique opportunity to raise awareness of potentially the biggest threat to human health that our global society faces today: multidrug resistance. The World Health Organization ranks multidrug resistance as one of the three greatest risks to global human health, the others being climate change and malnutrition. And indeed, if we don’t take action against multidrug resistance now, we might soon be thrown back to a 19th century situation in which basic infections, for instance those contracted in the course of routine surgical procedures, would be lethal in a majority of cases – not to mention the inability to administer some of our most efficacious cancer treatments. It is true that drug resistance is not a recent evolutionary trend, as shown by bacterial drug resistance genes in DNA extracted from 30,000 year old permafrost sediments in Canada. However, the increasing spread of multidrug resistant strains that are able to withstand complex antibiotic cocktails is novel and highly concerning. One major factor driving the increasing emergence of these multi-resistant organisms is certainly the excessive application of antibiotics in medicine and farming. These environments have played a major role in the adaptation of bacterial strains to the continuous exposure to antibiotics, and hence becoming multidrug resistant. The rapid emergence of multidrug resistant (MDR) bacterial strains also represents a serious ethical issue for the global community. An ineffective treatment does not just affect the patient, but has wider implications for the population. Interestingly, the evolution of drug resistance is the result of simultaneous over-consumption or incorrect use (e.g. 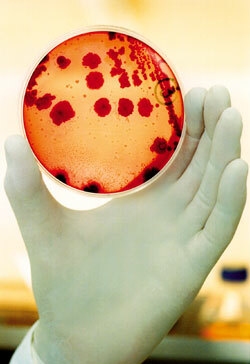 failure to finish the full course) of antibiotics by wealthy nations and under-consumption by developing countries. In the latter, dangerous strains are rarely treated correctly due to the lack of medicines and treatment, and are therefore never fully eradicated. 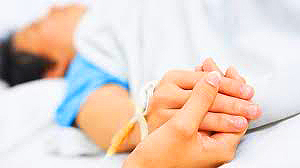 The same pathogenic strains can then be further selected for hyper-multidrug resistance in an environment like a patient’s intestine exposed to multiple antibiotics in a typical Western hospital. This interconnectivity means that public health in the context of MDR and infectious diseases, should be treated as a global concern, not just a national one. Health involves ‘externalities’ affecting third parties: when microbes develop resistance in one patient because of over- or under-consumption of medication, this more dangerous illness poses an increased risk to others. Compounding this, many international pharmaceutical companies have abandoned the development of new antibiotics. The rapid global spread of antibiotic resistance, which has significantly reduced the time span during which antibiotics are effective, together with the low prices of antibiotics have made return of investment problematic for many companies. As a result, the antibiotic pipelines dried up decades ago. Even though new attempts to develop antibiotics and blocking agents of multidrug resistance have restarted recently, real progress is difficult due to a lack in our detailed understanding of the mechanisms by which drug resistance develops. Basic research on the evolution, spread and mechanisms of MDR is needed, more than ever, in order to overcome these roadblocks in a development process aimed at launching sustainable drugs on the market. This research can reveal surprising new insights that might become important therapeutically in the future. One of the major known mechanisms that leads to multidrug resistance is based on the presence of drug efflux pumps in (pathogenic) bacteria. Like molecular vacuum cleaners, these proteins, embedded in the plasma membrane of the bacterial cell, recognise and expel a vast range of antibiotics from the cell before these drugs can do significant harm inside the pathogen. Hence, multidrug efflux pumps allow pathogenic bacterial strains to cope with high amounts of the most complex cocktails of antibiotics. How do multidrug transporters recognise so many different drugs? Can they be inhibited such that existing drugs can still be used in the treatment of diseases? Can new drugs be developed to bypass these multidrug transporters? Our research at Hendrik van Veen’s group in Cambridge is aimed at providing answers to these questions. SET for Britain is an excellent platform for the exchange and distribution of such up-to-date knowledge on fundamentally important topics, like antibiotic resistance, amongst other young researchers and members of Parliament. MPs can help young researchers to raise awareness of such threats in their constituencies and to stimulate appropriate policy making. Awareness is the first important step towards overcoming this extreme threat.